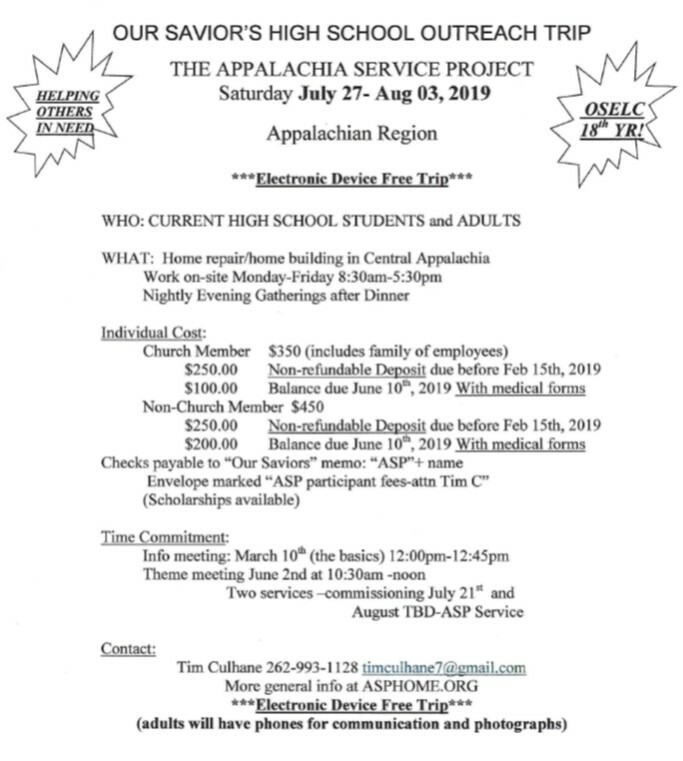 ASP provides one of the most rewarding structured service opportunities for hands on construction and repair focused ministry — bringing thousands of volunteers from around the country to rural Central Appalachia to repair homes for low-income families. It has become a MAJOR part of what it is to be a youth at Our Savior’s, and we send a group every year. Through ASP, we’ve made homes warmer, safer, and drier(R) for families and provided transformational service experiences. Last year, 16,231 volunteers served with ASP, 23 from our congregation, providing critical repairs for 493 families and constructing over 60 new homes. Gathering weekly on Wednesdays at 8:12 pm, eight12 (a minstry for grades 8-12) focuses on fellowship and prayer as we walk “in the light” together.